Baking refers to a process “to cook by dry heat“ and is therefore next to cooking another essential way of preparing food from raw staple crops. During the baking process the dough is transformed into eatable food (nutritional improvements) and at the same time, microorganisms causing spoilage are destroyed prolonging keeping time of the product (food preservation). Unlike other cooking methods, baking does not alter the nutritional value of the food item, e.g. the fat and calorie content of the food. Usually, baking takes place in an oven or on a hotplate, but also in hot ashes or on hot stones. During baking, the heating process is done by a combination of three forms of heat: by infra-red energy that is radiated from oven walls, by circulating hot air; and by conduction through the baking pan or tray.That means the efficiency of the baking process depends on the optimal use of three different parts of the device: the walls, the tray and the ventilation system. Burning biomass within the device produces the desired heat. Subsequently, the goods are placed inside and are baked for a certain amount of time. In the simplest way, a fire is lighted in a pit on the ground and after being burned down, the covered food is started to be baked (earth oven). Many different varieties of bread and pastry have emerged from regional traditions around the world: like various sorts of bread, rolls, biscuits, pastries, cakes, buns and rusks, crêpes, injera, pancakes, etc. Corn tortillas form the staple food in most of Mexico, while in Peru the diversion of bread includes ingredients like potatoes or pumpkin. In Ethiopia and in east North Africa, the wide, flat, circular bread, which is called injera, is made from a grain called teff. Divers types of unleavened flat breads, which are usually made from whole-wheat flour and baked on a hot iron griddle called tava are the staple bread in South Asia and the Middle East. Bread doughs produced from wheat flour have a unique viscoelasticity due to the wheat protein gluten, and therefore provide a better nutrition for humans. The world production of wheat in 2010 was 651 million tons, toped only by the cereals maize and rice. At the beginning of this century, more than 45 per cent of the world’s wheat was produced in developing countries. Bread is a convenience food in Africa for both urban and rural communities. The major challenge with bread consumption in Africa is that most countries can't produce sufficient quantities of wheat to supply the bread market. Therefore, other starchy materials such as corn, potato, banana, yam, rice, sorghum, or cassava substitute wheat. Baking is also a lucrative business. In India, there are around 60,000 bakeries, mostly concentrated in the informal sector. The bakery industry is among the few processed food segments whose production has been increasing consistently in the country over the last few years. Baking constitute the largest segment of consumer foods with an annual production of around 4 million tonnes of bakery products. In South Africa, approximately 3000 bakeries were registered in 1990 and approximately 80% of the bread production was in the hands of 6 large baking groups. After abolishment of the controlled bread prices in the early 1990's, the number of bakeries increased considerably. In 2005, out of the total of 7900 bakeries, 85 were wholesale bakeries, 600 were in-store corporate bakeries, 3700 were independent bakers, and 3500 were franchise bakers. It is estimated that 53,200 informal bakers operate in non-licensed premises. They offer their baking products to different markets such as domestic, food service establishments, institutions, and wholesale. Bakeries exist worldwide in all sizes in both the formal and the informal sector: Small bakers operating from home, retail bakers who operate in-store bakeries, independent bakers who operate stand-alone bakeries, and large wholesale bakers who operate industrial (plant) bakeries. In many regions the industry, which is often dominated by small and micro enterprises, are often facing unfavourable conditions, such as lack of baking supplies, lack of access to efficient baking technologies and credit options to finance the investment. Process control in a bakery involves accurate weighting of ingredients, control over baking temperatures and times and correct handling procedures for products. This includes also an optimal usage and handling of the chosen technology and energy fuel. Cleaning routine to ensure hygienic standards. Baking requires very high temperature (around 250°C) and thus needs a larger amount of thermal energy input. Due to the lack of electricity, biomass energy is mostly used for baking in developing countries.Efficient baking technology have a high potential to reduce the firewood consumption, guaranteeing not only an efficient and shorter baking process, but also reduced operating costs. The most important device in a bakery is the oven. Before obtaining an oven, a baker should consider oven prices, fuel availability and affordability, possible assistance, supply and quality of the materials, maintenance requirements, etc. The following information present experience and knowledge gained by GIZ projects active in the field of biomass energy use. Please fee free to add further information on ovens operateted with other fuels and devices. The simplest way is to bake within a so-called earth oven: after a lighted fire in a pit on the ground is burned down, the food is put inside the pit and covered: the baking process starts. Other traditional baking ovens consist of a baking chamber made of fireproof brick, concrete, stone, clay, or cob. Traditionally they are wood-fired, but coal-fired ovens are also common. It is known as a “black oven” because the smoke from the burned wood emits soot on the roof of the oven. Traditional ovens often lack insulation and proper ventilation. They consume in average more than 0.5-1 kg of wood per kg of baked wheat flour. Two types of improved ovens are in common use worldwide: direct heating ovens heated by fuels in the baking chamber and indirect heating ovens that have a separate heater or firebox. Both types are constructed from materials such as steel, which withstands high temperatures. Directly heated solid fuel ovens are typically used by artisans, small-scale bakeries and restaurants. This type of oven costs relatively little but involves the risk of product contamination by smoke and ash. Fuel is burnt on the stone hearth for 6 to 12 hours, often overnight. The heat, which is retained inside the oven and in the oven walls, is then used for baking, while the oven temperature gradually drops during the day. Indirect heating ovens can be operated continuously at constant temperatures because the fire can be maintained without interrupting production. The simplest oven designs have a separate firebox with brick or tile-lined flues surrounding the baking chamber. Both types of oven can be found in various sizes and with varying capacities. The heat should be evenly distributed throughout the baking chamber and all parts of the chamber should be easily reached through the oven door so that products can be loaded/unloaded without the risk of burns. Experience show that improved ovens reduce firewood consumption significantly – up to 50-80% compared to a traditional oven. The Mirt stove is primarily designed for baking injera. The stove is produced from locally available raw materials, mainly red ash (or in its absence, pumice or river sand) mixed with cement. The stove comprises six parts. Four of these make a cylindrically shaped enclosure about 66cm in diameter and 24cm high, where the firewood is burned under a baking plate. The remaining two parts sit behind the cylindrical enclosure and facilitate smoke removal and cooking on a pot. Small holding injera bakers use a single stove for their daily baking. Others, such as cooperative micro-enterprises use different versions of modified Mirt stoves, which cluster two or four individual stoves so that they use a single chimney, with additional tailored parts for collecting the smoke from the individual stoves. The stove reduces fuel consumption by 50 per cent compared to the traditional three stone open fire and is optimised to burn a range of biomass fuels including firewood, agro-residues and dung. Current average market price for a single stove is USD 11 and USD 126 for the modified stove with four individual stoves. Thanks to the resultant reduced fuel costs, the oven purchase cost amortises within approximately two months. Most component parts can be replaced if damaged. One of the Mirt parts is only USD 2, but a new chimney costs around USD 63; owing to the high costs users are unfortunately reluctant to repair them immediately. Energy experts at GIZ ECO are currently working to improve the chimney design as the bakers are affected by heat radiation created by the absence of an insulator on the chimney of the stove. Find more information on GIZ’s approach, a case study and further literature here. The firewood rocket baking oven promoted by GIZ in Uganda comes in three different sizes: the single deck rocket oven, the double deck rocket oven, and the large-scale commercial rocket oven which is the equivalent of four double deck ovens constructed in modular format. Baking capacity per oven varies between 32 and 256 kg of bread in one cycle, or 100 to 800 buns. A baker can save time and money compared to using a traditional baking oven. Preheating time is reduced by at least two-thirds. Firewood consumption is reduced to one-tenth of previous consumption. The rocket oven increases efficiency by 70 per cent because of improved heat transfer. It evenly distributes heat around the baking chamber, thereby producing better quality products. Proper sealing of the baking chamber ensures that the bread is not contaminated by smoke or ash. Entrepreneurs invest between UGX four and 18.5 million (between USD 1,616 and 7,474) depending on the size of the ovens. Big ovens bake 760 loaves of bread at once, small ovens 12-24 loaves. These investments can be financed by future savings because of considerably reduced firewood consumption - up to 80 per cent. One cubic metre of fuel wood costs UGX 20,000 (USD 234). The manual is a flexible tool that describes how to build efficient bakery scale wood burning rocket bread ovens. It guides the builder through the construction process. Available to download here. This manual from 2008 is an additional, less specific, construction manual for fixed rocket bread ovens, as used by the GIZ programme in Uganda. Also includes basic guidelines for maintenance and cleaning, as well as energy efficient baking. Available here. Theoretically, anything that burns can be used to heat a baking oven, but in practice, fuel needs careful selection. It is not always best to choose the cheapest energy source in order to be economical. Other factors to that should be considered are the consitent availability of fuel, the type and amount of ash that is formed, the energy value of the fuel and the location of the bakery to prevent smoke disturbances. Baking requires a larger amount of thermal energy input, e.g. wood, than cooking. Availability and price of fuel are therefore crucial for bakeries as it constitutes their largest operating cost: up to 30 per cent of the bread loaf cost is constituted by fuel costs. Bakers must therefore conduct a careful analysis of their energy needs. Electricity is mostly a question of availability and afordability. Liquid fuels such as kerosene or diesel are not widely used in baking ovens because they risk contaminating products with off-odours or even fires and explosions (petrol). Solar energy can also be an energy source for baking purposes. 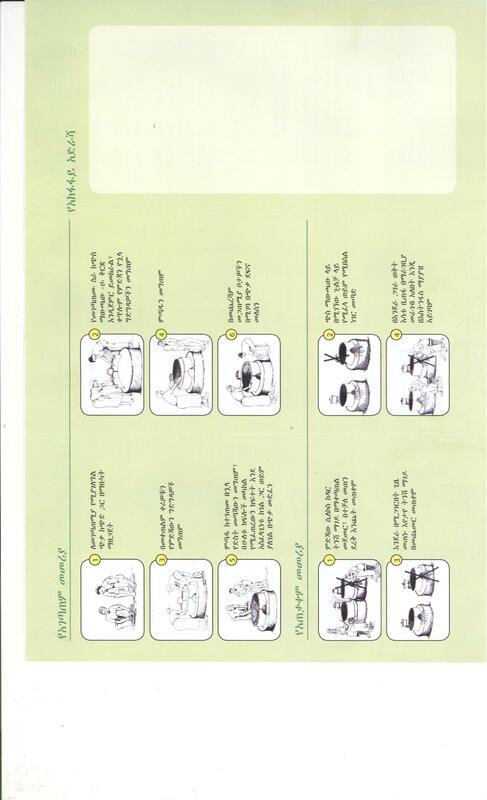 For solar restaurants and bakeries, see: olarcooking.wikia.com or relate to the Solar cooking chapter. Bread is becoming an increasingly popular snack with many Ugandans, as well as other bakery products ranging from small buns to large wedding cakes. The sector is generally small-scale. The total number of bakeries and ovens in the country is difficult to estimate as most of them operate informally and no government statistical information is available. There is therefore great potential for improving the efficiency of the fire consumption of those bakeries with improved stoves. When less firewood needs to be purchased, incomes increase. The most important source of energy for those rural small and medium-sized enterprises is biomass. Firewood, charcoal or crop residues fuel the high energy consumption in bakeries. The Promotion of Renewable Energy and Energy Efficiency Programme (GIZ PREEEP) has been promoting efficient biomass energy technologies. Using a purely commercialised approach, GIZ has been disseminating the rocket baking ovens to bridge the energy gap, especially for the development of small and medium enterprises in the baking sector. Ovens are produced and sold by private companies without any subsidy. GIZ supported the technology development and the testing process between 2003 and 2005. Technical training has enabled oven builders to construct and market efficient rocket baking ovens by themselves. The project also supervises the performance of the installed ovens. So far, 68 improved ovens have been distributed; five of them large-scale commercial ovens. The project evaluates whether the ovens meet the quality criteria regarding firewood consumption, product quality, smoke emission and oven construction material choice, etc. The project promotes efficient baking ovens at various fairs and events throughout the year; e.g. the World Food Day and the annual Energy Efficiency Week organised by the Ministry of Energy. At these events, the technologies attract many people, especially small entrepreneurs. Mr. Patel operates a bakery business in Arua Town, West Nile Uganda, called ‘Malaika Bakery’. He owns a large-scale commercial rocket baking oven with eight baking shelves. Four women and nine men work in his bakery. Malaika bakery produces 1,000 kg of bread daily, supplying about two million people in eight districts. The entrepreneur invested USD 7,100 in acquiring the oven. Since then, he has profited from the benefits of the rocket baking oven. The reduced fuel wood consumption leads to less expenditure on wood, resulting in lower production costs and ensuring competitiveness. He states that his income has increased by 20 per cent and expects further increases after completing the process of replacing all his remaining traditional ovens. Although maintenance and cleaning of the oven entails production downtime and additional costs, the entrepreneur realises that the new oven has been a catalyst for his business development. In the future, Malaika Bakery plans to shift to bigger premises and to construct two new commercial rocket baking ovens. They attract customers by stating that all ovens are precision engineered to the highest standards of quality with only best materials used and are produced under the supervision of the original designer. In 2010 “Appui au Développement Autonome” (ADA), “MicroEnergy International” (MEI) and GIZ’s Energising Development Project (EnDev-Peru) accomplished an alliance together with two Peruvian microfinance institutions (MFIs) in order to give life to the Energy Inclusion Initiative (EII). The EII presents actions that try to improve the social, economic and environmental welfare of populations which lack of a proper energy access. It empowers small and micro businesses through productive use of energy by offering products that can be acquired by microfinance. The EII is present in rural and peri-urban areas through the network of MFIs, which -due to the close contact to these populations- are capable of offering warranty on the products, as well as post-sale services. One of the technologies offered by this initiative are improved ovens working on firewood, which have a high energy efficiency and performance within different applications, such as cooking, baking, and roasting meat. Improved ovens are easy to use and rely on a specific design that avoids any contact between the fuel and the food. This technology reduces 50% of firewood consumption and indoor air pollution. Besides, users can save money by using less firewood in comparison to traditional ovens. Peruvian Woman in the Highlands using an improved oven (Picture by FONDESURCO). Ergonomic shape and functional design allow easy use in households and businesses, being also easy to move and transport. Its cylindrical and closed construction is based on a fire-box that surrounds the oven generating heat and producing an even temperature distribution that generates uniform cooking and reduces cooking time, avoiding also smoke to get in contact with the food. It has a thermometer and a tempered glass window which allow a regular control over the cooking process, which becomes easier in comparison to traditional ovens, since temperature and air flow can be controlled permanently. By using firewood as fuel, improved ovens generate the same kind of heat of a traditional oven, which helps in giving an exquisite taste and texture to the food, which can’t be achieved by gas or electric ovens. Due to its heat surrounding system, improved ovens use less oil, allowing the food to make use of its own natural fat (e.g. from meat), process that can also make food become healthier. A large variety of meals can be made: chicken, fish, pig, lamb, bread, pasta, vegetables, biscuits, etc. Cooking Food with an Improved Oven in Peru. Size: About 100 cm high (without the chimney), 85cm long and 65 cm in diameter. Firewood Chamber capacity: Up to 0.7 kg. Firewood size: Wood elements should be between 10 and 15 cm long and between 3 and 5 cm wide. Firewood consumption: About 3 kg for every 90 minutes running. Thermal power produced: Equivalent to ca. 10KW. Improved ovens can be installed in closed spaces only if there is an external air conduit connected to the chimney, so that combustion smoke can be expelled. The installation for the conduit and chimney should be made by a suited technician. Otherwise, improved ovens should be installed in open spaces where combustion smoke can spread freely. A: Safe hood. B: Chimney. C: Lenght regulator. D: Door. E: Thermometer. F: Tempered glass window. G: Hand grip. H: Base support.I: Fuel entrance (firewood chamber).J: Entrance for air and cleaning ashes. K: Grill. L: Heat-resistant clay.M: Fasten bolt for removable part. Bakers in Ethiopia encounter various challenges: The injera baking process is labour- and time-intensive. It is also difficult to obtain the main ingredient, teff flour, from the market. The teff dough is mixed and allowed to ferment for 3-4 days before baking. An injera baker can only bake on two stoves at a time and each stove only bakes one injera at a time. According to data by GIZ Energy Coordination Office ECO, baking one injera takes approximately four minutes with an hourly rate of 16 injeras per stove. Institutional strengthening and capacity building for the public as well as the private sector is one of the core activities of GIZEnergy Coordination Office (ECO). In order to assure long-term sustainability, the programme actively supports strong participation from the private sector and focuses on commercial dissemination of improved stoves. Awareness raising of fuel efficiency, indoor air quality and general environmental consciousness are also part of the intervention by the project to enhance the improved stove up-take by productive users and by the general public. The nearly 600 small-scale producers of energy efficient cooking or baking stoves, who have been established in 310 districts of seven regions of Ethiopia, disseminated more than 505,000 stoves from January 2010 to June 2012. Institutions and small enterprises adopted 2,722 of those stoves. The Habesha Tikus Injera Share Company, located in Addis Ababa, and owned by young entrepreneur Issac Wudu and his two colleagues, is engaged in mass production and distribution of fresh injera. They own eight institutional Mirt stoves and employ four women and two men, producing about 300 quality injeras every day for supermarkets, hotels and households. They paid USD 126 for each institutional stove that clusters four individual Mirt stoves that uses a single chimney. ‘Baking with Institutional Mirt stoves has many benefits’ said Issac Wudu, ‘our fuel consumption has reduced by almost 50 per cent: from USD 1,900 to USD 970 per year as compared to the open fire method and our income has risen from USD 2,020 to USD 2,750; four per cent per year. After the amortisation of their investment in the Mirt stoves within approximately 15 months, they are now about to expand their business. ↑ Curtis, B.C. (2002): Bread Wheat. Food and Agriculture Organization of the United Nations, available at http://www.fao.org/docrep/006/y4011e/y4011e04.htm#bm04. ↑ Bokanga, M./ Tewe, O. (1998): Cassava: A Premium Raw Material for the Food, Feed, and Industrial Sectors in Africa. In: Ferris, R.: Postharvest Technology and Commodity Marketing in West Africa: Proceedings of a Postharvest Conference 2 Nov. to 1 Dec. 1995, International Institute of Tropical Agriculture, Accra, Ghana. ↑ GIZ India (2011): Identification of Industrial Sectors Promising for Commercialisation of Solar Energy, Commercialisation of Solar Energy in Urban and Industrial Areas – ComSolar, New Dehli, India. Available at: http://www.giz.de/en/downloads/giz2011-commercialisation-solar-energy-india-en.pdf. ↑ Dagoon, J. (2005): Home Economics Technology IV, RBS Technology, Livelihood Education, and Life Skills Series, Rex Bookstore, Philippines. ↑ Armando Manhiça, Fabião/ Lucas, Carlos/ Richards, Tobias (2012): Wood consumption and analysis of the bread baking process in wood-fired bakery ovens, Applied Thermal Engineering, Volume 47, 5 December 2012, Pages 63-72, available at: http://www.sciencedirect.com/science/article/pii/S1359431112001627. ↑ 8.0 8.1 Fellows, Peter 2012: Baking. Technical Brief of Practical Action. This is a technical brief about the baking process. March 2012, available at: http://practicalaction.org/baking. This page was last modified on 30 April 2018, at 14:49. This page has been accessed 178,129 times.